MusicPlus Lottery Tickets to Win Millions. You might just be the next millionaire! 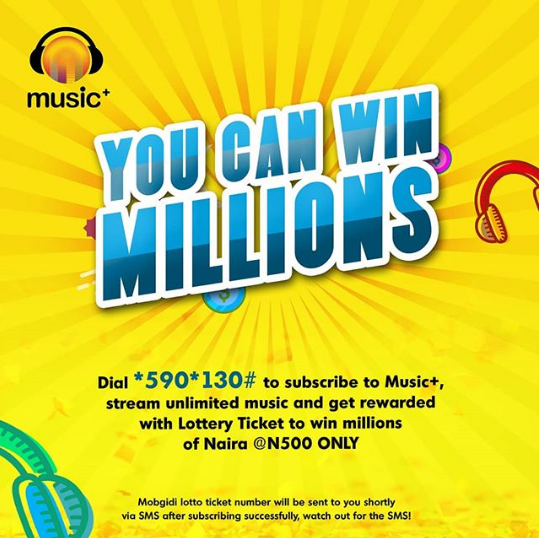 Grab your phone and dial *590*130# now to subscribe to Music+ and automatically get a free lottery ticket that qualifies you to win. You also get to listen to unlimited music on Music+.